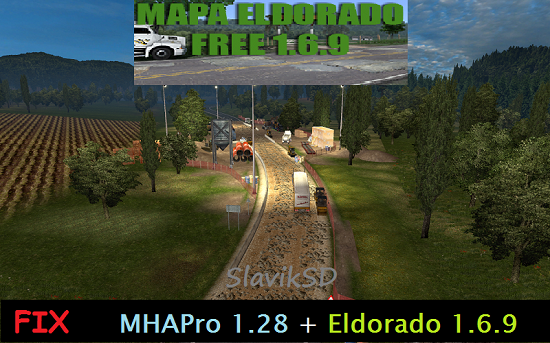 MHAPro EU Map v2.4 by MsHeavyAlex (1.32.x) for ETS2 | Euro Truck Simulator 2 game. 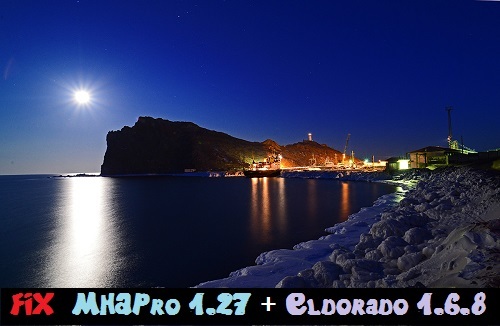 MHAPro Map EU - the purpose of the add-on is not to add some completely new regions to the simulator, but to rework the original map of Europe in order to improve the quality of the game world, diversity and realism. The MHAPro map extends the standard Europe from Euro Truck Simulator 2, adding new locations, roads and various buildings. The mod adds to the game new firms that exist in reality, bases for loading, gas stations, car repair shops, road signs, billboards and more. With the mod MHAPro Map EU European countries and the UK look completely new! In addition to the above listed modes, it also increases the density of traffic on European roads and makes changes to Sweden from the official supplement of DLS Scandinavia, therefore this addition is necessary for the correct operation of the mod. adds new cities and towns, objects, companies, service stations, garages, gas stations, roads, intersections, cafes and much more. You must have all the extensions DLC. Compatible with other maps that do not affect the standard map. 1.16 LONG TRAIN + TURN ON THE GAS STATION for MHAPro map Eu 1.8.1.